Free stock images provide you with high quality and flexible images and photos which can be downloaded for free and used to solve your purpose. So here is combine list of 40 Best and Beautiful sites for Royalty Free Stock Images. If you have a blog or are into any sort of online career option like content marketing, digital marketing, and graphic design or just even want to create a good facebook banner for your business, you will need images. Free stock images provide you with high quality and flexible images and photos which can be downloaded for free and used to solve your purpose. They come in very handy when you are a novice and do not have the capital to invest in professional graphic design which needless to say can be a costly affair. Attention : Royalty-Free Stock Photos, Vector Images and Videos Over 80 million high-quality royalty-free stock images and high-definition footage at the best prices to fill all your creative needs. Here is a list of 40 best websites for Free Stock Images or Royalty Free images sites which provide you with all kinds of images and photos in all sizes and formats according to your need. Go ahead, take advantage. The photos are all high in quality and are crafted to solve on or the other purpose for you. Under the premium membership, get access to stock images, stock music, stock footage as well as stock textures. If you know what kind of photos you wish to find then this is the site for you. Founded in February 2001, this site has been one of the most prominent platforms for the free stock images as it was launched against the expensive stock images. It has very enhanced search mechanism where you can search images by category. It has a portfolio of over 400000 pictures to choose from and has a wide list of categories ranging from abstract to everyday objects. The picture quality is commendable the gallery has a lot to offer for photography aficionados. Under the Browse section, you can look for the free photos, popular images, new images and the editor’s choice. You can view the details about the image such as the author or tags. You can download by pressing the download button and even mark the pictures as favorite. It has a very simple looking landing page but once you start browsing through its collections you will notice that it has a lot to offer. One of the oldest websites, the images are available here for the personal as well as the commercial use. If you have liked an image, it is automatically bookmarked in the reference box. You can later use it if you want. The images are all in high resolution and created and developed by professionals. The fact that it provides free download and sharing is commendable as the work done available here is quite high quality. It is definitely a top pick among free stock websites. If you are a Premium member, then you can share these images via mail or social media. There’s a separate classroom section where you can click and register to learn the basic skills of photography. Over here you just have to sign in to a free membership to be able to download photos which are free off course. This site is particularly good for photographers who wish to showcase their talents as you can also upload your photos quite easily. The images are high resolution and bang on quality. With numerous categories to offer this is one top free stock website. Another very excellent free stock website, this one stands apart on its categories which are exhaustively listed from A to Z. What more could someone looking for pictures ask for? Most of the pictures are featured on a daily basis on the landing page which is fast despite the plethora of images it showcases. It also has featured contributors and top picks listed on its page which simplifies your search all the more. Another simple looking free stock website which has a lot to offer as seen by its innumerable number of categories, this one stands apart on its navigation. The navigation is fast and quick and delivers precise results as per your requirements. The image quality is high and you can find images of all shapes and sizes. Another simple looking free stock website which has a lot to offer as seen by its innumerable number of categories, this one stands apart on its navigation. The navigation is fast and quick and delivers precise results as per your requirements. You can navigate to any category by selecting the navigation and choosing your category in the drop-down box. The image quality is high and you can find images of all shapes and sizes. You can also refine your search by clicking on the ‘Advanced Search’ option. Look for the most trending pictures in the Hot list section. A separate column for the photographers is given which enables the photographers to upload their stock images. If you are an online news blogger or just another random internet surfer looking to download some high quality pictures of renowned celebrities from all across the globe this is the place for you. With over 300000 celeb pictures to choose from, this site delivers what it promises. Next time you’re looking for pictures of your beloved movie start or rock star, give this free stock website a try and I guarantee that you will not be disappointed. It is a Germany based free stock website aiming at delivering free and high quality pictures related to almost every category imaginable. Germans have a knack for perfection and this site carries on the reputation. Apart from all the categories it also allows you to search different sizes like XS or extra small photos and XXL or very large photos. This helps in narrowing down your search to very simplified levels thus making your job all the more easier. This is one of the simplest looking and very basic free stock websites that I have come across but when I started browsing through its catalogue, I was thoroughly amazed at what it had to offer. It is very engaging site for bloggers, developers and photographers as it offers a whole range of useful categories and disappoints very little. If you’re a developer then you can find a whole range of textures over here to make your work finer and detailed. So do not be fooled by its simplicity because the simplest of things may be the most brilliant. If you are looking for simple images for purposes like posts or make thumbnails and icons then this is one of the best free stock websites for you. It has a very simple and easy to handle interface and offers well, simple things. The images are although, high in quality and will not disappoint you. For a free stock website as simple as this, over 13 million views and over 3 million downloads certainly ascertain that the quality it has to offer and has been offering. It if fully packed with high resolution images and good quality graphics which are divided into 40 categories. 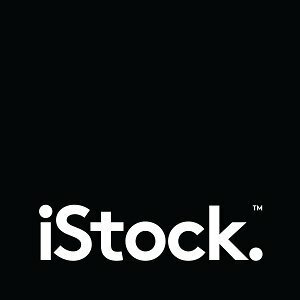 A UK based free stock website with a very engaging interface. The slider on the landing page consistently showcases themost viewed and most downloaded images.It has over 10000 photos stocked into 88 categories which indeed is a very diversified arrangement and makes your job of finding what you need a lot simpler. If you are looking into numbers then this free stock website has the jump on a number of big players. It has over 100 thousand images divided into 183 sections and further classified into 3640 categories. Finding a picture cannot get any simpler. Although, most of the images are good in quality and ready to be used, the highest quality picks have a price tag on them which is very cheap but not free. But there is nothing to worry as most of the pictures are still free and there are a lot of them. The website takes to its name quite literally. The landing page indeed looks like a rack. It has no pictures to show at first but the categories are stacked upon one another. You can choose the desired one and then browse through the 27000 pictures which are divided into 180 categories to make your life easier. Vectors are the new hot things in the image market and this free stock website is creating hundreds of them daily and offering it for free to its users. Graphic designers, bloggers, fashion designers are consistently searching for good quality vector designs. Well you have come to the right place because freepik has a lot to offer. Apart from vectors, the site also offers other kind of free images and is a very good choice if you need some for professional presentations or info-graphics. This free stock website offers over 60 GB of free multimedia to its users including images, sounds videos and more. What else could you ask for? It has a very simple interface which makes it quite easy to use. The images it offers are high quality in terms of resolution and size plus, they also have a lot of categories to choose from. If you want high quality art, this is the place for you. Though the top notch pictures are priced you can also get quite a lot of stuff for free and that too in high quality. It has a lot of categories and exhaustive catalogue of images to choose from making it one top notch free stock website. Another free stock website with a large base, it offers both stock images and design resources for developers and designers. It also provides an exhaustive list of other free stock websites in case you cannot find what you want which will not happen a lot. If you are looking for themed images then this free stock website is a great option for you because all images are categorized according to as set theme money or flowers etc. Each themed category has 15 images to choose from and these are updated on a regular basis. A Poland based free stock website it offers both free and paid images which are both equally good in quality with the latter being slightly ahead on resolution. There over 3000 photos divided into some interesting categories. The texture collection is particularly good and can be helpful for designers and developers. The above four offer very similar experience to Photobank and offered themed categories. Vintage pixels offer good quality pictures dating back to the early 1900s and late 1890s. Agriculture aficionados and bloggers who pick rural life as a theme will find this free stock website very compelling and interesting. It has photos of countryside and farms from all across the world and offers a very detailed perspective into the same. It showcases pictures involving numerous farming methods and technology along with the different kind of rural folk and their lifestyle from all around the globe. If your genre of interest is wildlife blogging or wildlife photography then you have to stop by this free stock website very interesting and extremely useful. Many a times it happens that you require a good image of an animal or wildlife for your blog or design or even a magazine feature but you cannot find one. Don’t worry now cause this site is a one stop solution to all as it showcases high quality images of diversified flora and fauna from all across the globe. It is more of a very basic social network of photographers than a free stock website. You have to sign in to be able to view to images and download them but it is worth the effort as the collection is huge and intensely categorized along with high quality graphics and resolutions. If you want to showcase you work to a network of photographers all around the globe and earn some name for yourself then this website is a good choice. This is a very new and stupendously rising free stock website. The reason for its meteoric rise is the extreme good qualities of its images which are available for free download and serve all your purposes. All images are high resolution with the best quality graphics which makes them suitable for bloggers, web designers, photographers, graphic designers and other kinfolk. This free stock website offers premium quality photography for professionals. Its user base consists of mostly professional bloggers and photographers who use it for their high quality image needs. The interface on the landing page makes your job very easy as it provides a central search option through which you can simplify your efforts. The interface is very engaging and provides a very user-friendly experience. Besides images it also offers music which is just one less thing to worry about. This website has an exhaustive list of categories with some very interesting ones such as biblical, US government, Country –specific, Wildflowers and many more. Thus with a very simple interface it caters to very diverse needs of the online community in search of pictures and images. The quality too is quite good including high resolution and quality sizing. If you are looking for images about random everyday things then this is a very good free stock website for you. Founded in 2000 and currently with over 77 million images and 21 million active users, it is one of the most active community of free stock images. It is a new and rising platform powered by Dreamstime which is a big player when it comes to paid image services. Therefore, doubts about quality can be happily erased here. You can also earn through its referral program by promoting the images and earning by bringing the sales. Like others, you can also get its subscription at an affordable price to get the images directly to your inbox or buy credits. Textures are the kind of images artists and photographers use as viable backgrounds or fillers to give a certain mood to their entire craft and create a genuine work of art. Therefore, this free stock website is an excellent choice for them as it provides a plethora of textures to choose from and fill any mood that you want in your designs. The image quality is excellent and the categorization is impeccable. Simplicity in itself is a very brilliant attribute and this free stock website has a lot of simplicity to offer. The simple landing interface is quite engaging and the images featured on the slider will mesmerize your mind instantly. The site featured detailed images of simple phenomenon with very sharp quality, detailing and imagery. This is the reason they capture your attention immediately. I highly recommend this site to professionals. 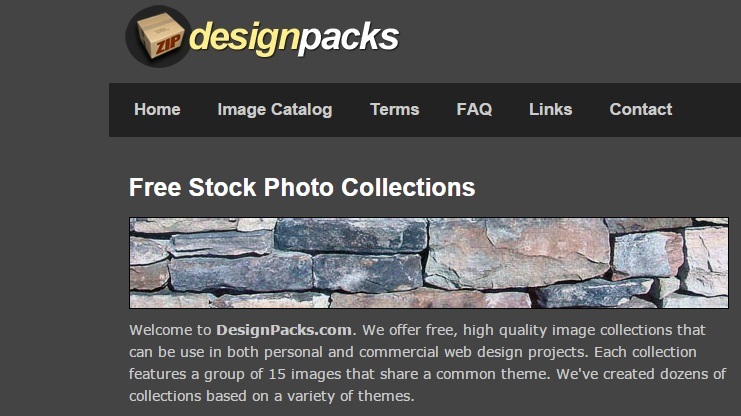 This is another free stock website which offers textures and a lot more. It has very few categories as most of the work is very delicate and artistic. Very good option for those who are in search of genuine art. With a simple yet engaging interface, this free stock website offers both free and paid image services. The picture quality is good with most images having high resolution and précising sizing. One can find a lot of categories here both general and more detailed. It also showcases featured images and art to make your effort easier and more efficient. Use keywords to display he images and you can adjust the color, tone or resolution of your image as required for your target image. Further, you can save your image at any cloud storage or your PC and even try the watermarked images to make it absolutely stunning. With 30-days free trial of stock images, you can get access to high quality Adobe stock images. Different pricing options offer different number of images and videos. You can also purchase these images, videos or illustrations using the credits. This is another free stock website which offers both free and paid services. It has over 22 million photos, videos and vectors which can be searched through its engine on the landing page which is capable of finding and solving most of your image needs. Moreover, it has a plethora of categories to choose from ranging from general activities to the rarest of findings. This free stock website is all about high quality image service. It offers JPEG2000 images which are high resolution graphics easily compressible and downloadable thus simplifying your work to a great deal. I personally recommend visiting the website at least once because the landing page in itself is very engaging and will get you hooked from the start. This website has a lot of interesting things to offer. Firstly, as a free stock website there is plethora of categorized images you can choose from and be assured on the quality and high resolution graphics. Secondly, it also offers illustrations, caricatures and an exhaustive free tutorial to help you create your own designs. This free stock website has more than a million images to browse from and offers both paid and free image services al around the globe. It is one of the major players and is also powered by the Gettyimages group. Hence, quality is not an issue here. 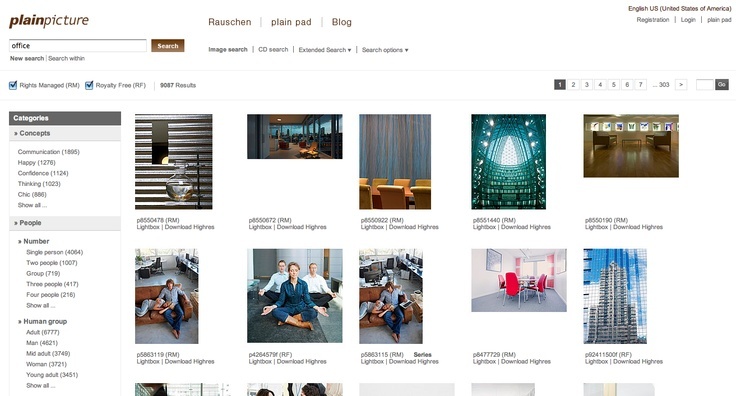 This free stock website is another major player in the image market, powered by Gettyimages and offers both free and paid download services. It has a much diversified list of categories to choose images from and hits all the right notes as far as quality and graphics are concerned. It has a very diversified collection of vector images which makes it an ideal choice for professional photographers and designers. Besides the images, you can also get access to the royalty free videos and audios in the Getty images music. It has got a number of attractive vectors, illustrations and graphics in almost all the categories. A user can get a subscription for the images on a monthly or yearly basis. You can choose among the two collections- best quality collection or lowest price collection as according to your needs. You can also buy the credits if you need less images or videos. This is one free stock website which offers imagery of the next level. Covering a very broad range of subjects it offers very insightful images in each category which are very attractive and engaging.It serves to a broad and contemporary audience and is a rising star in the image markets. This free stock website is one of the veterans and has been offering image services for the past 20 years. It boasts of bringing together professional photographers and designers from all over the world and showcasing their work. It also provides both free and paid services. As is expected from such an old player, the quality of images is impeccable and second to none. A must visit for professional photographers, designers and bloggers with interest in fine photography. This free stock website is the most unique one I came across. Their photographers and designers work with unconventional imaging technologies to create very exquisite and captivating imagery. The collection they have is attractively unusual and experimental. Trust me when I say that you will find some of the most unique images on the entire internet over here. Their showcase has some brilliant experimental work done with lighting, scientific and abstract themes and visual narratives. With such high quality deliverance, one is bound to get hooked on to the site. Using a free stock image is far more advantageous than the ones you are using anywhere on the internet. This is certainly because of the copyright issues. Not all the images you use on your blog or website is copyright free. It might affect your post or blog if the image you have used is found to be copyrighted. What does an Ideal Stock Photo has? Try to keep your photos sharper than the standard quality as the designers as well as the clients demand for a high quality image. Try to keep it higher than 640 X 480 pixels. Avoid any shots that are even a bit out of focus. If you wouldn’t keep tha in mind, this would certainly ruin your image quality making it less viable. Don’t keep your images clichéd. A number of photographers keep their photos clichéd or monotonous which makes it less selective for the user. Try to look for the photos that convey a message or particularly focus a thing that looks alluring. Decide what you want to convey through your picture. Use tags in the images on the free stock site or even the users can tag your image which makes it quite easy to find out your picture. Though, these free stock images have been excluded from any copyright restrictions. Also, these images are licensed for the use of common public domain which means everyone is liable to use these images for their purpose. You can copy, distribute or even modify these works for our personal use as well as the commercial uses. If still in doubt, it is advised to have a thorough research over these images so as to avoid any banning. With a plethora of choices among the stock images website, you can choose any of the above and look for the desired images in them. Thus, these royalty free stock images are high-quality images and certainly useful for the designers as well as the site owners. 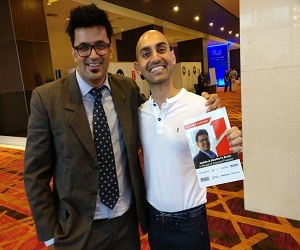 Be a small business owner or a big enterprise or an entrepreneur, the images are thus necessarily important everywhere. A number of sites offer affiliate programs for its customer to provide the opportunity to earn. Moreover, you can also purchase the plans to receive images to your inbox on a monthly or daily basis. You can also choose to buy credits to purchase some number of images. It is advised to use high quality image and choose your image wisely, Do not rush to choose the image. Be Patient!! I hope you like free stock images sites above, if you want to share more royalty free, stock free photo sites or vector image sites, please share it in the comments below. We would be happy to know that. Kritika Gupta is an expressive content writer who is aware of latest tech & online marketing buzz. She is currently doing freelancing for various clients. She is active on social media platforms and loves discussing on tech & social media. Connect with her on Google+ . Nice collection! Check out more of the sites for free stock photos easily available at BetaPage!